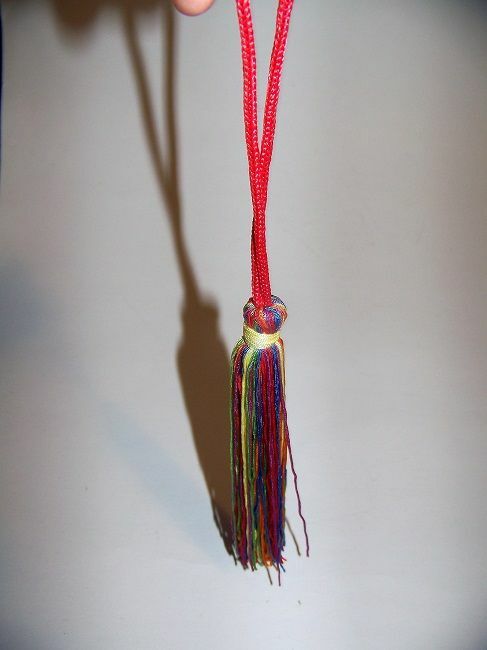 Rainbow tassel dangler. Tassels 8" long. overall hanging length from loop 13". Discontinued item, but we have 7 available.